Down Leisure Centre/Ballymote Sports & Wellbeing Centre/Newcastle Centre/ Kilkeel Lesiure Centre/Newry Leisure Centre and St Colman’s Sports Complex. The Council is delighted to have been chosen by Disability Sport NI for a Pool Pod installation in Newry Leisure Centre. The Centre was one of six facilities chosen in Northern Ireland to receive this equipment with funding provided by Disability Sport NI. 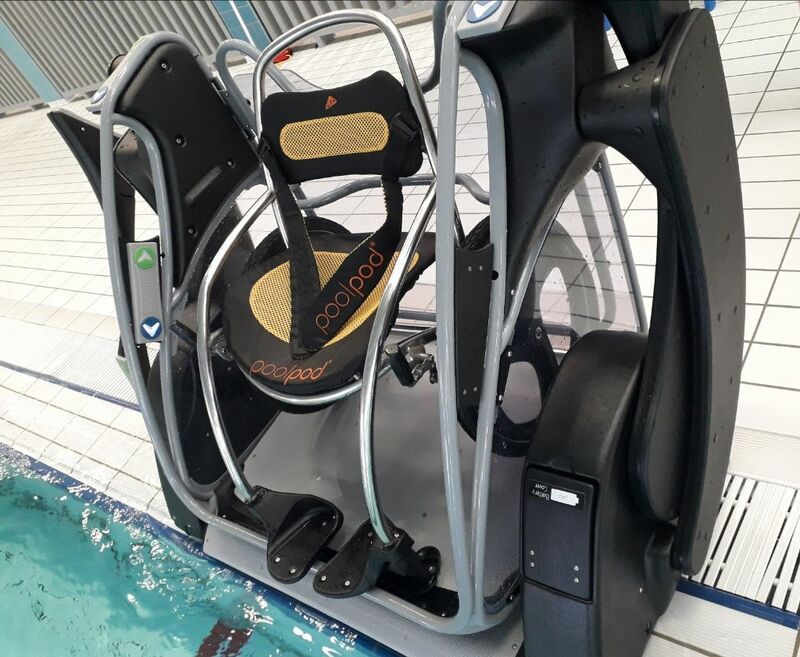 The Pool Pod platform provides a quick and simple means of swimming pool access to provide the opportunity of inclusive swimming for all abilities.